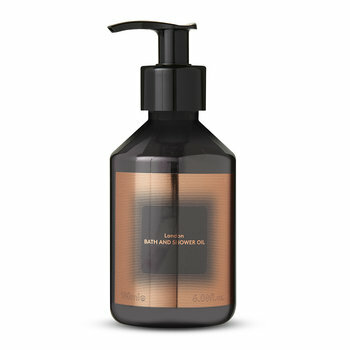 Invigorate your bathroom with this Royalty Hand Duo set from Tom Dixon. Including a hand wash and hand balm, they are formulated for frequent use; the wash gently cleanses the skin without dehydrating & the scent of the rich balm radiates from the skin after use. Capturing the scent of tea time with scones and strawberry jam, it combines notes of cologne, lemon, Earl Grey tea, mint and cedarwood and is paraben free & rich in antioxidants. A welcome addition to your bathroom, this set is enhanced with the essences of black tea and bergamot.